Who should select school principals in Chicago? In the Chicago Public Schools, since 1988, school principals have been hired (for five year contracts) and fired by the Local School Council (LSC), an elected body of parents, community members, and teachers that also approves each year's school budget (within some limits imposed by the central office). A new bill in the Illinois legislature, sponsored by Chicago democrat (and minister) James Meeks, would shift the principal-selection power away from the LSC, returning it to the central office (and thus, the ultimate control of the mayor). Some progressive groups are complaining that this is an affront to the ideals of democracy. I have mixed feelings about this one. Besides being democratically elected, do LSCs offer any special insights that give them a better perspective from which to appoint principals? We don't elect the civil engineers who oversee the building of bridges and other critical public infrastructure democratically. Rather, we expect the selection of civil engineers to be determined in accordance with professional standards of expertise. Certainly at some level this selection process is shaped by the democratic process, because the ultimate executive powers overseeing their selection are subjected to democratic elections. But we expect the selection process itself to be shielded from political considerations such as popularity, ability to raise funds, or the appeal of an Irish last name. Nor do we elect our military leaders. As the Athenians had learned during the Peloponnesian War, military generals need to be able to make military decisions without regard to their personal popularity or appeal to populous impulses. (Of course, the Commander-in-Chief is elected in the US, which of course sometimes results in military decisions that seem designed to shore up popular support for the regime.) Other professions in which popular election seems unwise (and is rarely seen) include university professors, corporate CEOs, and scientists. The most common way to select school principals in the US is appointment by a superintendent, who is in turn appointed by an elected school board. Yes, we do, in the US, largely follow the practice of electing school boards. This practice with long historical roots in the way that schools were first established in the US, village by village, and the gradual move toward financing those schools increasingly out of local property taxes (thus justifying the notion that their functioning should be subject to periodic public approval). The key question, I think, that should be asked about how various professionals should be selected (appointed or elected) is the relative balance that the job requires between sensitivity to public desires (elect them) and professonal expertise (appoint them). Amy Gutmann does a nice job of discussing this balance in a section entitled "Democratic Professionalism" in her widely respected book, Democratic Education. She writes that democratic local control of schools has the positive effect of permitting "educational content to vary, as it should, with local circumstances and local democratic preferences," and also ensures local public support of school policies. In addition, local elections of school boards provides a place for individual citizens and local groups to gain experience with active participation in governance (p. 74). The downsides of local control (most importantly, the possibility of tyrannical or corrupt policies) are minimized by both the public's access to school board decisions (if nothing else, people hear about it from their children) and by the on-the-ground presence of teachers, who have their own professional expertise and can, through their unions especially, raise a stink about what they see as bad policies. This balance, Guttmann believes, helps to ensure that schools foster in students not just compliance to majority-supported behavioral and ideological standards, but also (we can only hope!) critical awareness. In the early decades of the 20th century, the progressive movement worked to replace multiple school boards elected within each neighborhood (and often influenced heavily by local political heavyweights) with more centralized elected boards, especially in larger cities. The power of the elected boards was also moderated by requiring boards to appoint an experienced professional educator as superintendent. (In some states such as Alabama, school boards can only act with the recommendation of the superintendent.) This centralizing reform carried over to rural districts with the policy of district consolidation that prevailed in the 1950s and 60s, and the power of school boards has also been limited by the gradual assumption of power over local education by the federal government (and by the states as well) in the decades since. In a sense, then, Chicago's return in 1988 to the election of local school councils with control over each schools' budget and the hiring and firing of principals is a return to earlier conditions. The justification for that return to an earlier tradition was two-fold. First, Chicago's schools were so terrible (called "worst in the nation" by then US Secretary of Education, William Bennett), that decentralizing control of the schools couldn't make them any worse. Second, the move reflected the growing power of minority groups in Chicago city politics, many of whom felt ill-served by the decisions of a largely white, largely high SES central school board. The actual effect of the change has been mixed, although most observers suggest that many school improvements can be traced to the wisdom of LSCs that make appropriate decisions in light of the unique circumstances of each school. In general, the tradition of local control of schools through elected school boards has had mixed effects over the years, and even the idea of that they are democratically elected can be questioned in light of extremely low voter turnout in most school board elections. In some areas, elected school boards include people who are elected on a single issue, such as the goal of restoring creationism to the curriculum. The tradition of elected school boards has also recently come under attack (at least with regard to large urban districts) from some conservative educational critics (e.g. Chubb & Moe, and Checker Finn), as well as US Secretary of Education Arne Duncan, a supposed progressive who believes that such districts need "leadership from the top." Duncan has cited his seven-year experience as CEO of the Chicago Public Schools, where the school board has, since 1992, been appointed by the mayor, rather than elected, as evidence that appointed boards are less likely than elected ones to shuffle school leadership for political purposes. But as Jim Horn has pointed out, Duncan's call for appointed school boards only extends to those large urban districts where schools seem most devoted to creating compliance among poor and minority children (rather than learning), and not to the pretty successful suburban districts where elected school boards retain the general support of most of the voting public. Truly, the election of Local School Councils represents one of very few examples of neighborhood control of urban public institutions anywhere, and (at least according to some research summarized by Designs for Change, a local progressive advocacy group) the majority of the 600+ LSCs actually work fairly well. (Of course, this conclusion depends upon agreeing that have 10-15% of schools in the city with "LSCs ... enmeshed in sustained conflict, ...inactive, or hav[ing] engaged in unethical behavior" -- that's 60 - 90 schools, by the way -- is okay. It is those 10-15% of LSCs (more or less) that aren't functioning well that are the primary targets of Meek's proposed legislation. The schools with these LSCs are generally awful by any measure, and tend to be in neighborhoods with limited local social capital (such as educated parents or strong community institutions). An LSC "enmeshed in sustained conflict, inactive, or engaged in unethical behavior" simply cannot be trusted to name an effective principal; however, it has proven politically impossible for CPS to take over the selection process in those schools without a change in the law. Some elected LSCs seem to be doing a decent job of selecting principals. If we roughly accept the numbers cited by Designs for Change, 50-60$ of schools have "highly functioning" LSCs, and another 25-33% are "performing well." Those LSCs can legitimately claim to be offering democratic local control of a process that must place a priority on criteria of professionalism and effectiveness. But the other LSCs probably lack the capacity to understand those criteria or to make selection decisions that are free from personal bias, factionalism, or faulty reasoning. In those cases, most likely democratic control is leading to worse schools than would be the case with more centralized control by educational experts. I have some experience in one South Side school where the principal has been re-appointed four times, where (it seems to me) the primary reason for this reappointment is the political activities of the principal in maintaining the support of the public in the local community, rather than in his educational policies, which seem (to me, anyway) pretty wrong-headed. For example, this principal works with funders and food distribution companies to ensure that each family in the community has a turkey for Thanksgiving. It's a nice gesture, but it doesn't seem to have much to do with student learning. It's a pretty blatant effort to secure public support. Democracy is a messy thing, and it makes mistakes. (Witness the repeated election of George W. Bush.) But when democratically-elected LSCs make mistakes in the selection of school principals, it is the children who ultimately suffer, and they don't have a vote. So it makes sense to me that the people with the ultimate authority for the effectiveness of the schools in Chicago (that is, the mayor and his appointed school board) should, in some cases, overrule the principal-selection decisions of the Local School Councils, not in order to curtail democracy, per se, but in order to do what's best for those poor kids. Democracy is, indeed, under siege in America these days, but we shouldn't use these kids as human shields in its defense. My kindergarten daughter recently brought home her mid-year report card. Parts were easy to read – e.g. that she’s only “partially developed” in her ability to tie her shoelaces, but “well-developed” in her ability to count. Somewhat more baffling was the chart that showed her performance on the literacy measure known as the DIBELS, presented as graphs and percentiles and jargon. In the prosody, however, there were nuggets of poetry. In the category of “nonsense fluency”, my daughter is “low risk”. What that technically means is that she did ok on a test that asked her to read 2 and 3 letter nonsense syllables. Although at first I was pleased to know that she’s a nonsense fluency low risk, as I read on I was slightly alarmed by the sense I could make of the tests and the language in which they were reported. My daughter was given a percentile ranking vis-à-vis her classmates, who were admitted into a selective kindergarten based on tests that ranked them vis-à-vis other city applicants. It seemed, well, nonsense to rank them against one another. After all, that means that some child in her class ranked down at 1%, even though he or she is probably reading much better than many other kindergarteners. More to the point, since no sensible child would bother with the numbers, that means that some poor parent opened up the report to find their child in the percentile basement – and what’s the sense of that? Lately, I’ve been wondering what exactly it would mean to be at high risk of nonsense fluency. What about the boy who wrote a story about how he and his mother sat on a booby-trapped bench, on the day I volunteered and was put in charge of helping children write stories using “ch” words. “In the picture I drew, it was in 3-D”, he told me, “but I don’t have time to write that”. High risk of nonsense fluency, I suspect, and a good story. When she’s playing by herself, my daughter sometimes invents “fairy language”, to speak to the imaginary fairies she’s playing with. High risk, and delightful to overhear. Being at a high risk of nonsense fluency myself, thanks to many years of education, I take the report card as a reminder to shut up sometimes. If you start making too much sense of nonsense, you put yourself at a high risk indeed. The Journal of Educational Controversy is pleased to announce that the winter 2010 issue on “Arts, Social Imagination and Democratic Education” is now online. This issue is dedicated to the life and work of Maxine Greene. We would like to draw the readers’ attention to an innovation that we introduced in this issue. 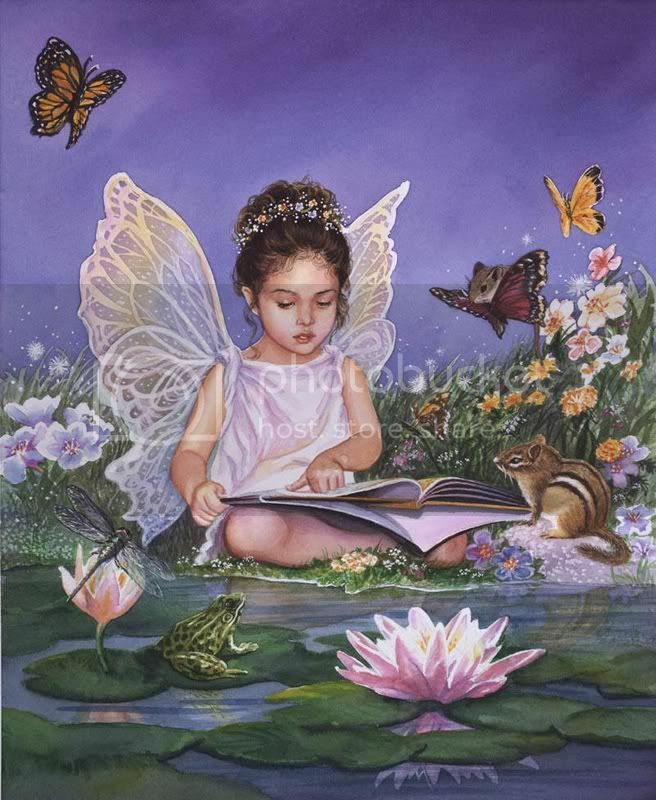 In place of one of the printed articles, we are providing the reader a slide show of a child’s artistic drawings, with the author’s voice describing to the readers the significance of what they are viewing in the child’s work. The author traces the motifs found consistently in the child’s drawing over the course of several years so the reader/viewer can gain insight into the child’s imaginative communities, values, and dreams. We invite readers to contribute formal refereed responses to our Rejoinder Section or more spontaneous responses on our journal’s blog.